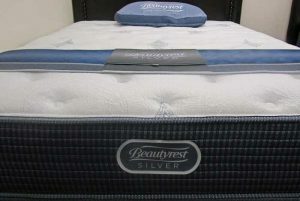 The Best Prices on Beautyrest Silver and Beautyrest Black Mattresses! 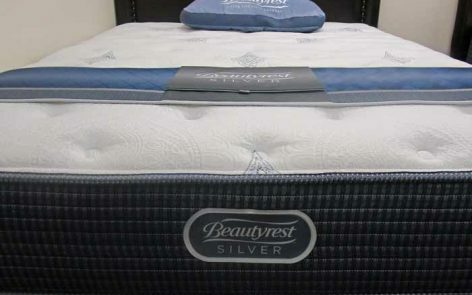 Best Value Mattress Warehouse stocks many Simmons Beautyrest Silver and Beautyrest Black Mattresses at the best prices you’ll find. You can look at our Comfort, Luxury and Factory Clearance pages to see great prices on Simmons Beautyrest Silver and Beautyrest Black mattress currently featured. 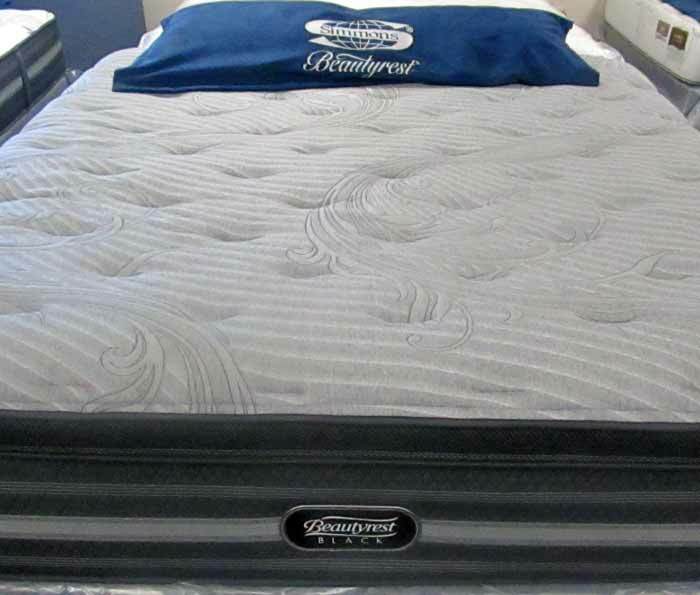 We feature these very high quality mattresses at the best prices you will find anywhere in the state of Indiana. We only sell new mattresses that represent a special value in the marketplace. We offer delivery or you can bring a vehicle to take your purchase away from our loading ramp in the back of the store. For the protection of our customers, we don’t take away any old products from customer’s homes. For over 140 years, the Simmons Bedding Company has not stopped innovating to help the world sleep better every night. Industry-leading advancements in comfort and support. 1900 James Marshall patented a wrapped coil spring. Because each one was made manually, the time and labor involved drove the cost so high that they could only be found on luxury liners such as the Titanic. 1927 Eleanor Roosevelt was featured in print advertising for the Simmons Beautyrest line and collection. She continued to be an advocate through her radio show into the 1930s. 1958 Simmons became the first mattress company to introduce the king and queen size mattresses. Years later, they were featured in Life magazine and other national publications. This campaign dramatically illustrated how the movement of one person on the mattress was less likely to disturb his or her partner on a Simmons Beautyrest bed. 1999 A HeavenlyBed® for Westin Hotels and Resorts®. 2000 Simmons celebrated its 75th anniversary and introduced the first “No-Flip” mattress — an innovation that had the rest of the industry scrambling to follow. 2005 The “Bowling Ball” ads are back, by popular demand. Both dealers and the public applaud the return of the dramatic television commercial demonstrating the unsurpassed motion separation of the Simmons mattress. 2006 The famous Beautyrest mattress was made even more luxurious with the introduction of the Beautyrest Black® mattress. This line featured enhancements in opulent fabrics and foam layers as well as stronger, motion-dampening coil spring technology. 2007 Simmons takes the popular memory foam sleeping experience to new heights with the release of the ComforPedic® from Beautyrest® line. Featuring The Better Memory Foam™, the ComforPedic mattress offers consumers the perfect body-conforming combination of soft comfort and firm support. 2008 Simmons Beautyrest pioneers hybrid technology. Beautyrest pioneers hybrid technology in the mattress industry with the fusion of memory foam and Pocketed Coil with the introduction of Beautyrest NxG. 2011 With a commitment to innovating Beautyrest Pocketed Coil designs for better sleep, Simmons introduced Beautyrest Smart Response® Pocketed Coil technology. These new coils offer a revolutionary shape that provides greater motion separation, conformability, individualized back support, and pressure relief. 2012 With the introduction of the Beautyrest Recharge Technology—a pioneering combination of AirCool® Memory Foam, legendary Smart Response® Pocketed Coil technology, and our proprietary AirCool Design—everyone can be Living Life Fully Charged®. 2014 The Recharge transformation is complete. Every Beautyrest mattress is now finely tuned to provide Recharging Sleep so that they can Get their Beautyrest®. Plus, we introduced the ultimate in sleep luxury with the luxurious Beautyrest Black and looked to the future of sleep with the innovative ComforPedic iQ. Here are some of the great prices on Simmons BeautyRest mattresses. You need to experience for yourself how great this Beautyrest Tidewater Plush Tight Top mattress feels! A Queen Set is only $699.95. See other luxury mattresses here.